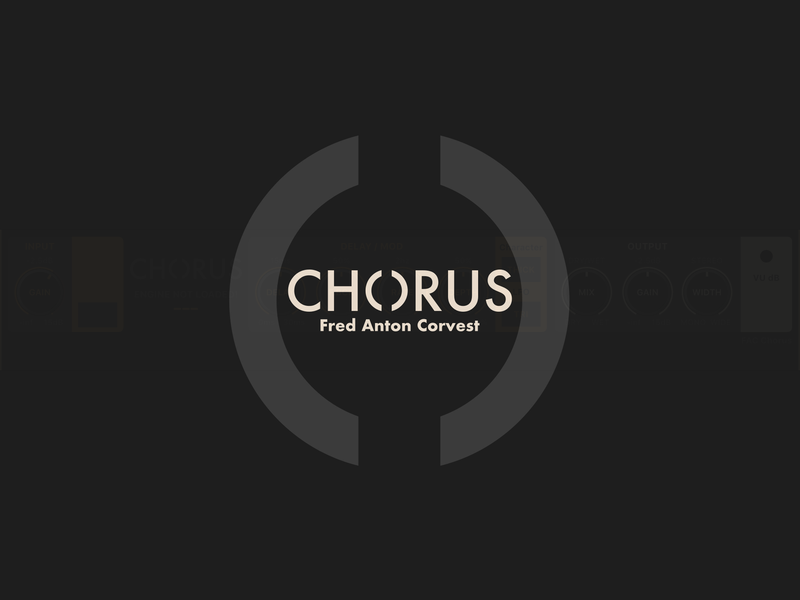 FACChorus (Fred Anton Corvest) is a stand alone, versatile Chorus effects app designed to emulate classic physical modules of day’s past. Not unlike the analog Roland Juno Chorus effects (and others) from decades ago. 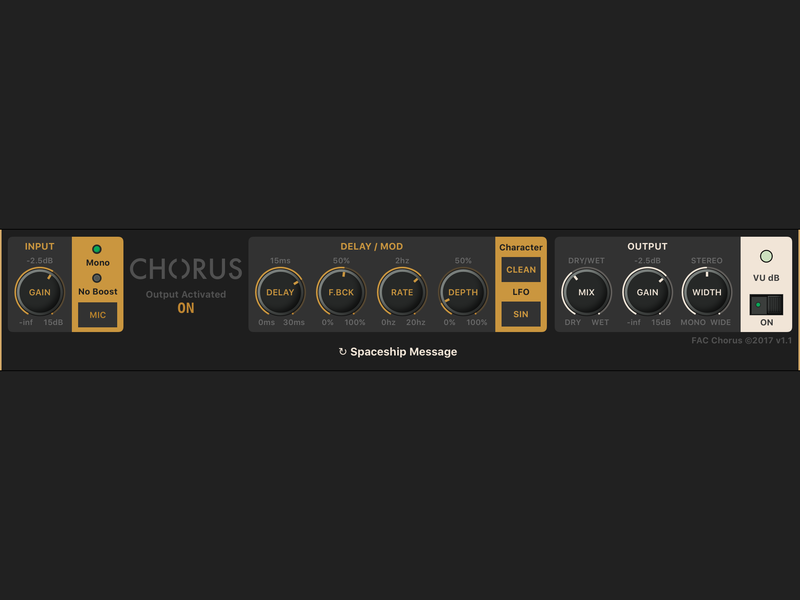 FACChorus sports a simple and clean interface resembling a rack mount style with realistic, responsive knobs. The no fuss look may seem a bit dated to some, but fits right in all the same. It mirrors the actual signal path from left to right (input to output) making it quite intuitive. Not that there could really be much to confuse anyone, anyway. Plus, who cares about looks when what really matters it how it sounds. So how does it sound? Well, it sounds really good, even through an iPads built in mic. Of course better with a plug in mic, USB or in a AU (Audio Unit) setting. This Chorus unit has a wide range of possible effects from clean and subtle to clinically insane. 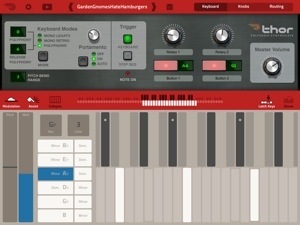 Most iOS synths and iDAWs have a built in Chorus but lack any real versatility and often even with the most subtle settings, sound overly wobbly. 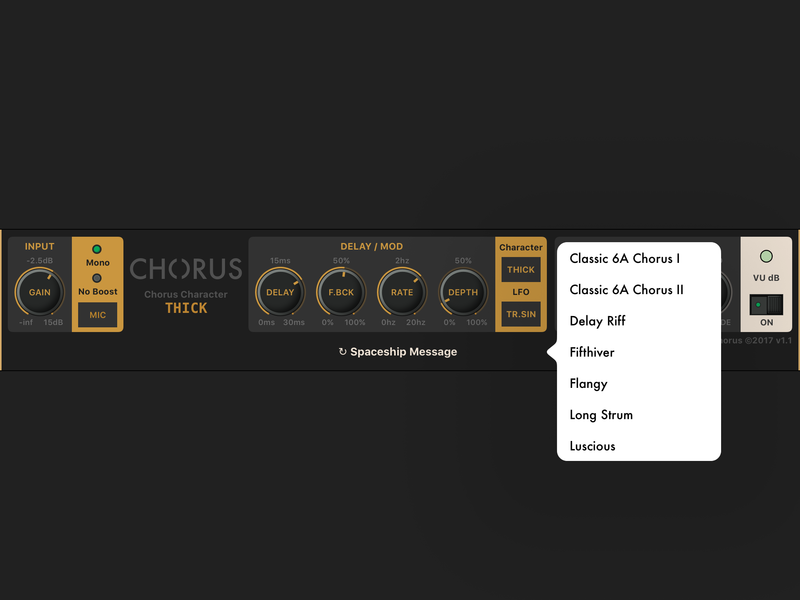 FACChorus can be manipulated to suit any need for vocals, guitars, and of course iOS instruments. Lush, rich and wide. Spacey or water logged, FACChorus gets you there. The properly named presets offer a nice range of ready to go effect parameters suitable for most situations. There is now the ability to save custom presets added. 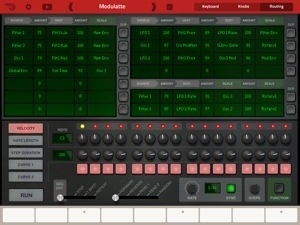 While this great sounding effects unit supports Audio Unit V3, it does not support Inter-App Audio or Audiobus. Considering that most iDAWs (like Cubasis and GarageBand Mobile) support Au V3, it’s hardly any real concern. Au V3 basically works the same as IAA. It’s early still, and it’s already progressing thanks to a dedicated developer. That all said, for three bucks you get an incredible sounding Chorus unit that would’ve cost far more in the physical world. Keep an eye out for an OSX version that works very nicely with Logic Pro X, and GarageBand for Macs. It is subjective for sure when anyone proclaims anything to be “the best” in any category. 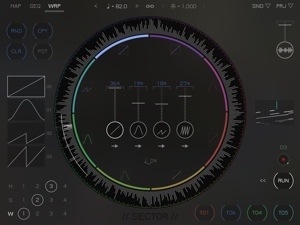 I’ve given this much thought and sincerely feel the following new “must have” music apps released in this first quarter of 2014 are: Sector, microTERA, iVCS3, and Sliver. In a way this is also a group review in addition to praise. 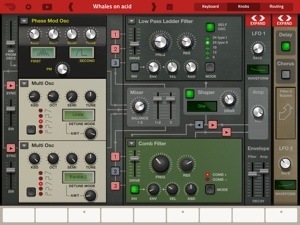 VirSyn has always offered excellent synth apps. 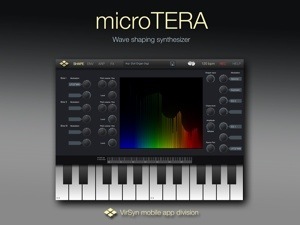 microTERA is yet another to get excited about. In case you don’t already know, wave shaping synthesis is a distortion synth style with finely detailed spectra; bringing a sort of controlled chaos. 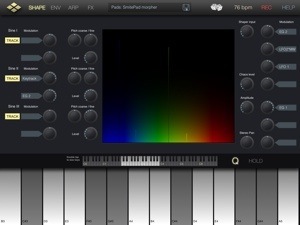 This wave shaping synth is not unlike Cakewalks Z3TA. However in my opinion, this one has a better interface and also a superior arpeggiator. Sound designing is very strong with its 3 adjustable sine oscillators, 4 LFOs, 4 (EG) Envelope Generators each with 64 time/level segments, 16 voice polyphony and of course monophonic. Exceptional modulation customization with all relevant routing possibilities. 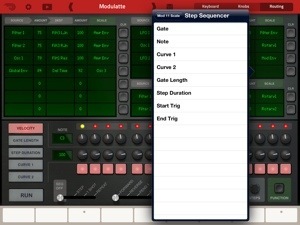 Also included is the 32 step programmable arpeggiator found in VirSyns other iOS synths. This synth also has a collection of outstanding built in FX. The range of sound types that can be created are as wide as one should expect. The results are often even better and if you’re in a rush or whatever and just want something random just touch the dice until you hear something you like. 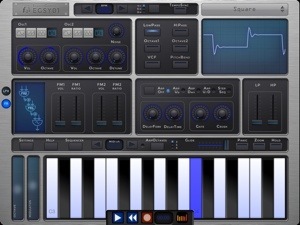 It doesn’t have any significant weaknesses and performs well with Audiobus, and IAA. Whether you prefer heavily distorted leads that bash through your ears or silky smooth pads that exude living personalities, microTERA does it. Just another remarkable synth offering from VirSyn. Here we have a soundscape maker with four by four real time, resizable clip based segments that, depending on your preferences, alter the imported audio. Or the preset audio samples as well. Each of these 8 total segments or “Slivers” can be automated and placed however you wish. The filters, size, and FX are each controlled with independent X/Y boxes. Since everything can be automated in real time Sliver offers some amazing fluid control of the textures. Scrub out new soundscapes with truly expressive results. 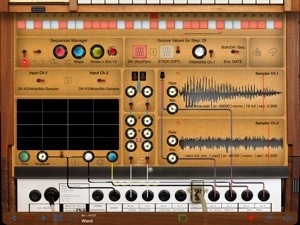 It’s basically a hyper creative playground for creating unique new instruments which you can also play out with the built in keyboard. Sliver is endlessly fun and inspiring. 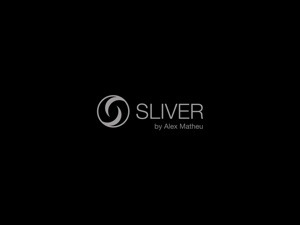 Shatter up some new sounds with Sliver. Sample and resample. Record, copy, paste, and send to AudioShare. 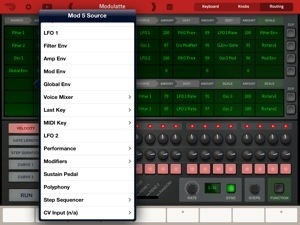 Sliver supports MIDI and Audiobus input. I can easily see this innovative app being used to live trip-out all within earshot. Bravo! apeSoft, makers of the incredible iDensity, iPulsaret and more, has gone and done something special with iVCS3. 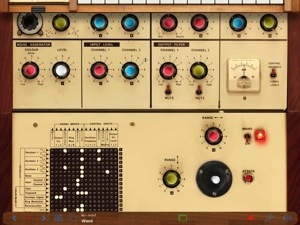 This is an emulation of the old hardware arguably made famous by Pink Floyd back in the 70s. This tops my “Holy S#@!” list of cool things. This machine was largely responsible for the wild sounds and eerie textures heard in Dark Side Of The Moon. It was also seen in Pink Floyd’s movie/video “Live At Pompeii” where Roger Waters was exploring this thing’s sonic capabilities. 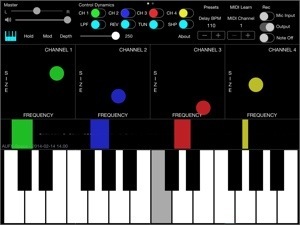 iVCS3 was created in 1969 and is considered the first portable synth. Largely used as a sound FX generator (Dr.Who fans know this) without a keyboard, it was later expanded with a (KS) sequencer and (DK1) keyboard connectivity. 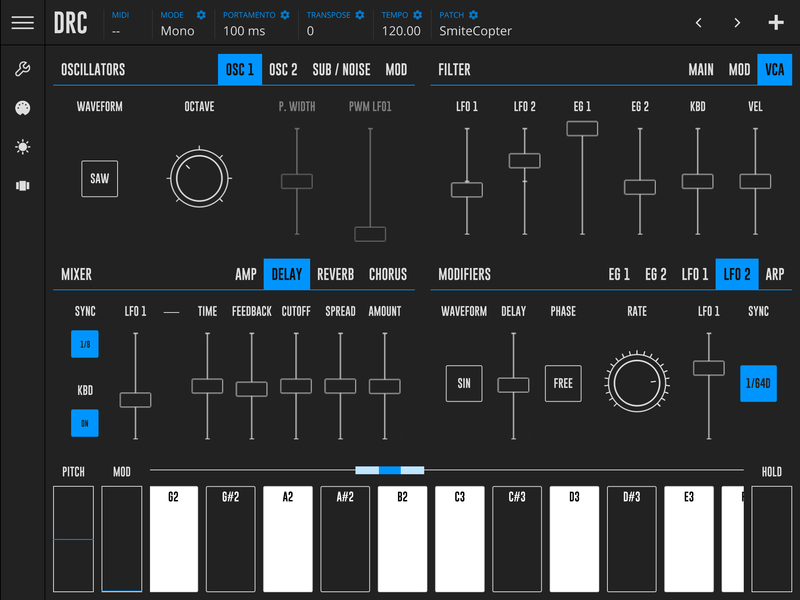 This modular synth is gorgeously recreated and emulated perfectly. That may just be my opinion since I’ve never touched a real one, but I’m going to go out on a limb and say it anyway. This soft version is complete with not only all the original capabilities, but also loads of new modern uses for us to enjoy on our iPads; unlike anything Roger Daltrey could have imagined back in the day. Built-in dual samplers, MIDI, full Audiobus and IAA support, background audio, Dropbox, really just a huge list of features. This even has 6 different reverb types including a spring convolution reverb, Quadratic Ring Modulation, delay, and noise generator. The features and specs go on and on. All (or almost all) parameters are fully customizable right down to the color of the knobs. The same old-time twist and plug routing exists such as the Trapezoid envelope controlled by a virtual joystick, and the modulation matrix with BattleShip-style pin placements instead of cables. So much to see, do, and hear with iVCS3! It can be a little confusing at times, but there is a full instruction manual included within the app to guide you on your journey. A spectacular “Must Have”! Kymatica is another one of my personal developer favorites. You can always count on something innovative coming from this guy. 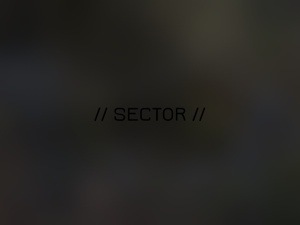 We all know and love his AudioShare app and AUFX series, and now “Sector”! 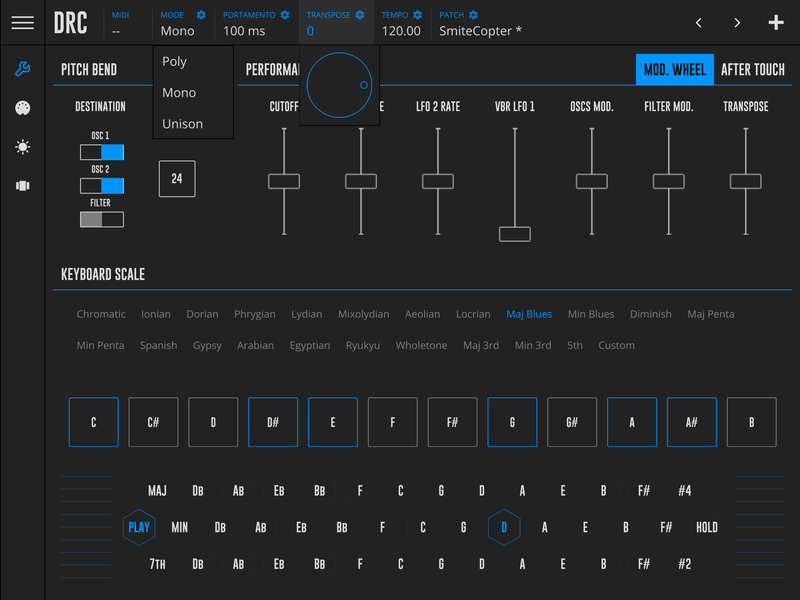 Sector is a 32 bit sound engine, Stochastic, sample, slice, sequencer with markov-chain connections. A 32 step sequencer with adjustable routing and wild probability sample, and slice order or chaos. Creating glitches, and bizarre time warped sequences in Sector is crazy cool and fun. It’s not all just about flipping a coin to see what happens, there is also full standard sequencing control as well. Just tap and map out whatever sounds right to you. Countless musical possibilities abound. I think the sporadic randomness is the best part, but all together Sector is a mind-blowing new app that defines innovation. Sector will have a built-in recorder soon, and of course you can bring your own samples in via the Open In function from other apps like AudioShare. Support for Audiobus and IAA are currently available now, with more MIDI connectivity coming soon. To wrap this up, you may have noticed a slight trend with these apps. If not that’s ok. I see each if these as being a great representation for the innovative nature of their development. We have loads of common emulations and even new things that, as great as they are, don’t really push things very far from what most think of as being conventional. 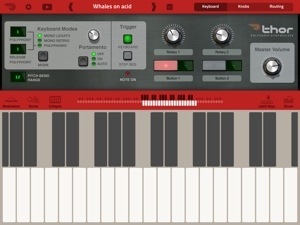 iOS music is not just an interesting way to explore making music and having fun doing so. It is an opportunity unlike no other to find ways of being extra creative with the apps that can be made, where they otherwise can’t be. If you want some new music apps that offer you huge musical inspiration, fun, and a different creative experience, then these are 4 of the newest and best. There are of course others, and there will be more. Check them out. Support great development. 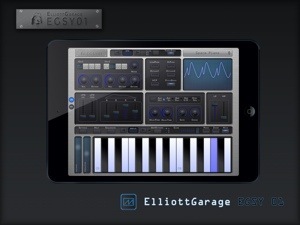 EGSY01 is a 2 oscillator, virtual analog synth for iPad. 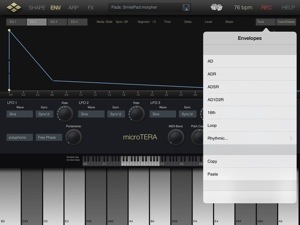 A Audiobus, MIDI compatible synth app with support for iOS 7 inter-app audio. 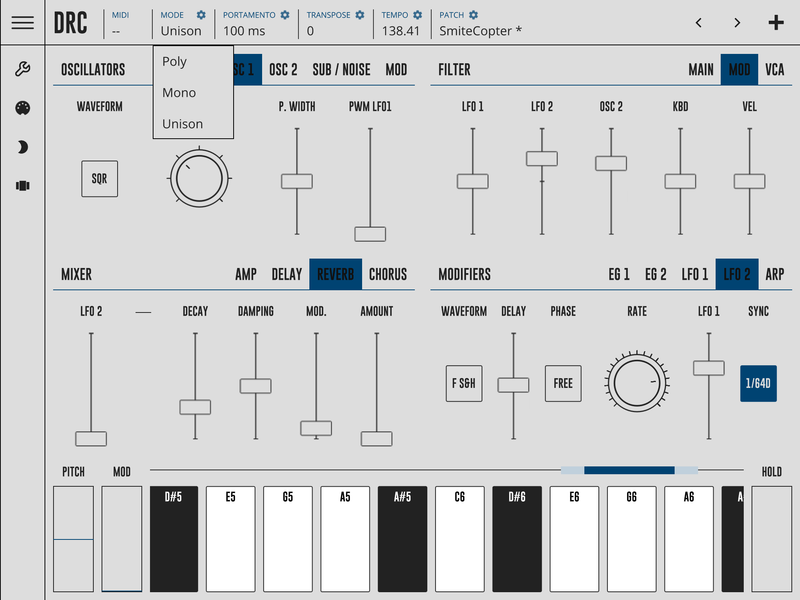 It has a basic arpeggiator, and a 16 step sequencer. Variable latency settings, and modulating keys. It has a impressive looking list of specs from the iTunes App description, but it’s all really just the very basics. Speaking about its synthesizer functions, they’re all things you find standard in pretty much every synth on the market. A market loaded to the gills with analog synths, and with many that are very strong in the same price bracket. Thing is, EGSY01 isn’t doing much of anything to separate itself from the pack. It is decent, and at times I found I did enjoy the sound qualities , but it just isn’t all that versatile or original. The arpeggiator is very simple, leaving me wanting more. 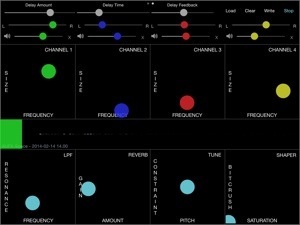 The 16 step sequencer is cool, but again very simple. Considering its price tag (currently) of $8.99 I expected something a bit stronger. While playing with EGSY01 I found that the virtual knobs were too touchy. Making fine adjustments is agonizing when a slight movement sends the knob to huge swings. The noise filter sounds a little weak, and the Hi/Lo pass filters would tend to crackle if raised near their slider tops. They don’t have resonance controls for some reason. I don’t think I’ve ever had a synth with Hi/Lo Pass filters that had no resonance controls? The keys can control some modulation, like pitch, LFO etc, and that’s about all the routing you get. The keyboard doesn’t move, but there is an octave slider on the left side of it which essentially accomplishes the same goal. I actually kind of like that more than a sliding keyboard. I’m not saying this is a bad synth, but it doesn’t do anything new or better than any of the numerous options we’ve seen. It might have been more impressive a few years ago, unfortunately today it feels like it lags behind in a very competitive market. I’d say its an excellent starter synth for folks looking to try out their first iOS analog synth, but the price tag prohibits such a recommendation. 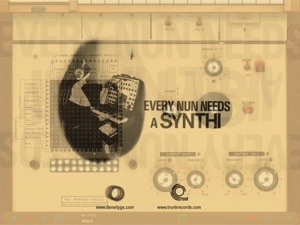 EGSY01 is functionally fine, with a decent sound quality, simple, clean GUI, but lacking any factors that inspire excitement in this synth lover. 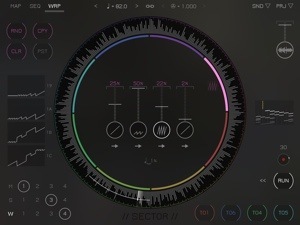 If it were to ( and I sincerely hope it will ) be updated with more features, improved filters, more modulation & routing options, some innovative functions, and then priced at $4.99, I’d love to have another look at it. I love ElliottGarages EGDR808 app, so this is a little disappointing to me. As is this is a $.99 synth that rides the middle of the road somewhere between being better than the worst, but not anywhere near good as the better synths. That all said, this is a synth to keep an eye on and hope for a lot more development, but I am sorry to say at nine bucks its not really a “must have” today. 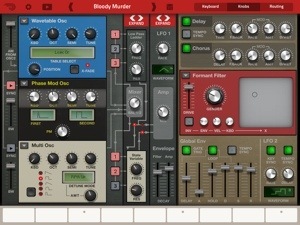 Remarkable, beastly, outstanding, monstrous, unearthly, incredible, you should get this synth. That was the easiest review ever. Not enough? What? You want me to elaborate? 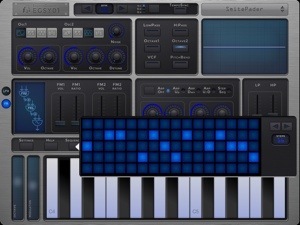 Every time I see a new iOS synth I get very excited. Don’t you? Well you should. Thor is no simple or run of the mill synth. Its a port of course, but a port that still has stones. 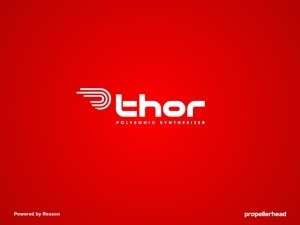 Instead of a single synthesis type, Thor has 6 oscillator types! What? Yes 6. Analog, FM Pair, Wavetable, PhaseMod, Multi Oscillator, and Noise. Its can make for some nutty but thunderous combinations depending on how you apply them to the 3 available slots. 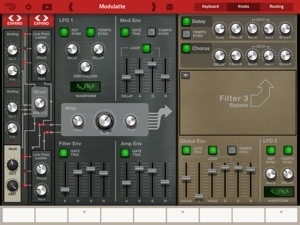 Add to the incredible selection of synth types, there’s 4 filter types for 3 slots. Then there’s a whole mess of routing options and modulations to dig into. It is a mind blowing collection of options that can lead to some of the most creative synth sounds imagined. Thor is godlike. Kind of getting ahead of myself here, so ill expand in the order of the interface screens next. The functions and parameters that all make up Thor being numerous and complex, are thoughtfully contained in 3 main screens with collapsible and expandable sections. It might seem at a glance like there’s too many hoops to go through in order to make an adjustment, but what’s the alternative? Ive seen some complaints about this. When you think about it and understand how much stuff there is packed into Thor, those complaints boil down to being just nit picky, and painfully trivial. If everything were visible without consolidating, the interface would be a big mess full of tiny buttons, knobs and itty bitty text. What Propellerhead did to keep everything neat, clean and accessible works out nicely. First is the “Keyboard” screen. Pretty strait forward and self explanatory. This is where the performing is done. Select Mono or Polyphonic with adjustable portamento. There are 2 assignable rotary knobs and buttons. Adjustable pitch bend, modulation, and strum sliders reside on this screen. The Strum slider is fairly unique to synths & works as you might think. Hold a key or keys and strum away or tap “Hit” for a stab. It all can make for some unique play styles when applied together during recording or performance. Also on this screen is the “Assist” function which is used to select scales and keys. It all comes together smashingly for a very satisfying experience. Next we have the “Knobs” screen. This is where the magic happens. As I mentioned previously, you have 3 slots to apply any combination of the 6 oscillator types. 3 filter slots for the 4 available filter types, a “Shaper” unit with 9 shapes, a mixer, and all the routing. Plus there are 3 envelops and 2 LFOs. You might think it could get pretty crowded with all of these tools, and if it weren’t for the “Expand” function to help control space it would be. Each piece has additional options for waveforms, speeds, types, in the form of drop down menus neatly contained within each unit. The sound designing capabilities are astronomical. Nothing has been diluted or compromised here at all. With so many synthesis types available to combine with one another it could seem like Thor is a student of many but master of nothing. That would be an error. Each type can be controlled in great detail.  The WaveTable for example is loaded up with many wavetable types for you to select from. No you can’t make your own wavetable, but there’s plenty to choose from. The 4 filter types Comb, LoPass Ladder, State Variable and Formant can be used in any combination (like the oscillators) in 3 separate slots. How you combine and route each of these will offer some sonic dimension that few synths can approach. Thor’s FX units are Delay and Chorus, and pretty darn good to boot. All of your Thor creations can be moved to or from the Reason version of Thor. The over used “playground” description seriously applies to Thor in the most sincere ways. This is really not just a playground but more like the Disneyland of sonic realms. The 3rd and final screen is called “Routing”. Here we have a comprehensive matrix for some massive routing and modulation options. Tweak signal flow and directions of each parameter with fine adjustments to just about anywhere. Its a relentless range of depth and possibilities. You can be as complex or simple as you wish with your routing. Additionally a micro keyboard is always available on the bottom of the “Knobs, and Routing” screens for you to audition your creations. In addition to the matrix on this Routing screen is a 16 step sequencer. One of the more detailed I’ve seen in a synth allowing fantastic control over each note, 2 curves, velocity, gate, and step durations. Select the order, skip notes, change direction, and speeds etc its all there. Super slow 16/4 to light speed 1/64 speeds. Thor is a class act. This synth is ridiculously rich with features and capabilities. Obviously I’ve left out a lot in order to keep this all at a decent length. Check out the Propellerhead Software site for more details. 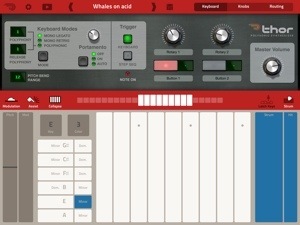 Thor supports Audiobus Input, MIDI, and background audio. It works great with my iRig Keys. There doesn’t appear to be any ACP support, and no built in recording. That will be a disappointment to those who still prefer to do things that way. To sum it all up I’d have to say that Thor on iPad is a monumental addition to the ever increasing library of pro quality options being delivered to iOS. Thor is complete, playable, and insanely deep. Creating synth sounds with loads of character and life are just the beginning. -(*edit) In case I’m not making myself clear, the resulting sounds can be amazing. Ive been enjoying the strong sonic capabilities Thor puts in my hands. Making thick, evolving pads that breath are my favorites, but any types can be made and sound great. You get out of it, what you put into it.- With over 1000 patches built in there’s plenty of inspiring sounds to mess with, but building from the ground up is where its at. The tools are there, its up to you to make it however you like. Experiment and have fun with it. The only thing that bugs me is there’s no way to share custom patches by email, and the color scheme of GUI is drab to me. Then again I am color blind, so maybe its delightful to others? This is the kind of synth that will keep you hooked and coming back over and over to design sounds like no other. Its behaved well for me on my iPads 3&4 with no stability issues at all. Its recommended for iPad 2 and up. Sorry iPad 1 owners. It is a legend born from Reason and having this on our iPads is a dream come true. Synth lovers rejoice! At the time I wrote this Thor is selling for $14.99 (USD) and that’s a bargain for what you’re getting here.